I’ve been an oncology social worker for many years. I’ve seen countless cases of the most common cancers including breast cancer, colon cancer, lung cancer and prostate cancer. Because these cancers are more common, there are more supportive services, research dollars and awareness walks for these diseases. But, I’ve also seen a lot of rare cancers—sometimes only once. I got to thinking, “wow, it must be really hard to be the one person in 2 million who has this disease.” There aren’t walks for leiomyosarcoma or mesothelioma or hairy cell leukemia or thymoma or cholangiocarcinoma. 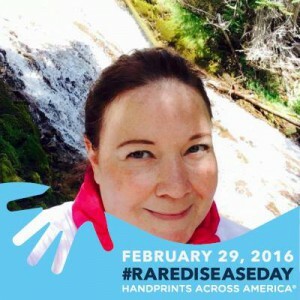 So, I got to wondering, what makes something a rare disease? What are some of the rare types of cancer? And, how can we help patients coping with these rare diseases to increase knowledge, supportive services and research money to help find treatments for these rare conditions. According to the National Organization of Rare Disorders (NORD), a rare disease is any disease that affects fewer than 200,000 people. Many of these diseases have no cure and/or limited treatment options. In the US, there are an estimated 7,000 different diseases that meet this criteria. In total, some 30 million people, or 1 in 10 in the United States have been diagnosed with a rare disorder. What are some of the rare types of cancer? Wikipedia lists 91 different cancer types as rare diseases. These include (but are not limited to): astrocytoma, carcinoid/neuroendocrine tumors, cholangiocarcinoma, thymoma, cutaneous t-cell lymphoma, Ewing sarcoma, gastrointestinal stromal tumor (GIST), ocular melanoma, mesothelioma, multiple myeloma, retinoblastoma and thyroid cancer. See the full list here. Rare Disease Day is observed yearly on the last day of February. The primary goal of Rare Disease Day is to increase awareness about these diseases to the general public and to policy makers, care providers and researchers. Do you have a rare cancer or support someone who has a rare cancer? This is a great opportunity to share your story! You can get involved and help raise awareness! Become an individual supporter to receive updates about the day. Write a letter to the editor and send it to your local paper about what Rare Disease Day means to you. Don’t forget to share your recognition with #teamoncolink too! These are all easy things to do to help bring awareness to diseases that deserve our attention. Ultimately, it’s not about the type of illness someone has or the color ribbon they wear, but about the fact that they are suffering with an illness that has changed their life and the lives of their families. Help spread the word! Special thanks to NORD for sponsoring this day and for their fantastic ideas about how to make an impact on #rarediseaseday. NORD offers a wealth of information on rare diseases as well as resources for support and financial assistance. This entry was posted in Christina's Resource Round-up! and tagged coping, rare cancer, rare disease, resources. Bookmark the permalink.